With two Royal Warrants and over 300 years of history Berry Bros & Rudd is Britain`s original Wine and Spirits Merchant. Family – owned and run, the Company still trades from NO.3 James`s Street, it`s home since 1698. 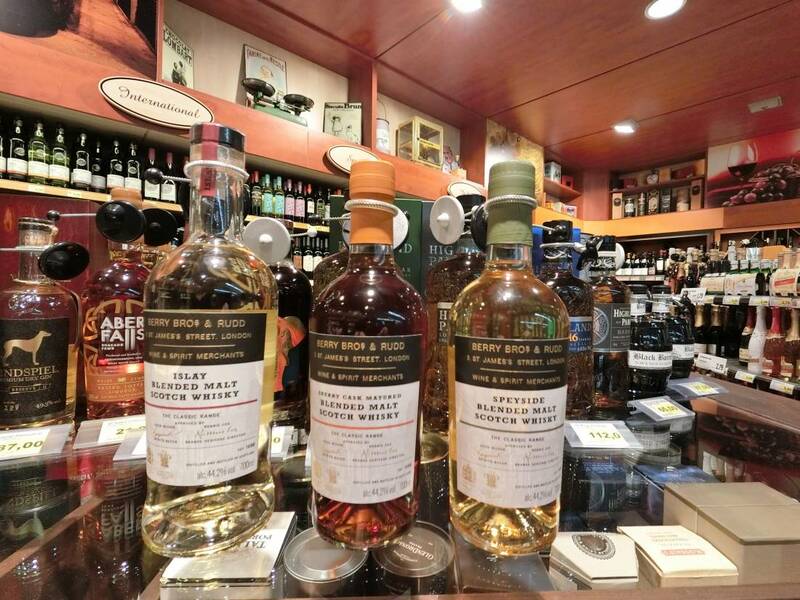 Sherry Cask Matured BLENDED MALT SCOTCH WHISKY – The Classic Range – 44,2 % Vol.Alc. Islay BLENDED MALT SCOTCH WHISKY – The Classic Range – 44,2 % Vol.Alc. The Hebridian Island of Islay is renowned for the destinctive peaty style and smoky flavours of it`s whiskies. Our Classic Islay Malt is a carefully selected Blend of Casks from some of the island`s iconic Distilleries, creating a balanced, complex and distinguished smoky dram. Speyside BLENDED MALT SCOTCH WHISKY – The Classic Range – 44,2 % Vol.Alc. Many of Scotland`s most famous Malts hail from Speyside, known for their approachable, fruity style and floral complexity. Our Classic Speyside Malt captures the very essence of the Region, balancing subtle, honeyd fruit Aromas with easy-going yet complex Aromas.